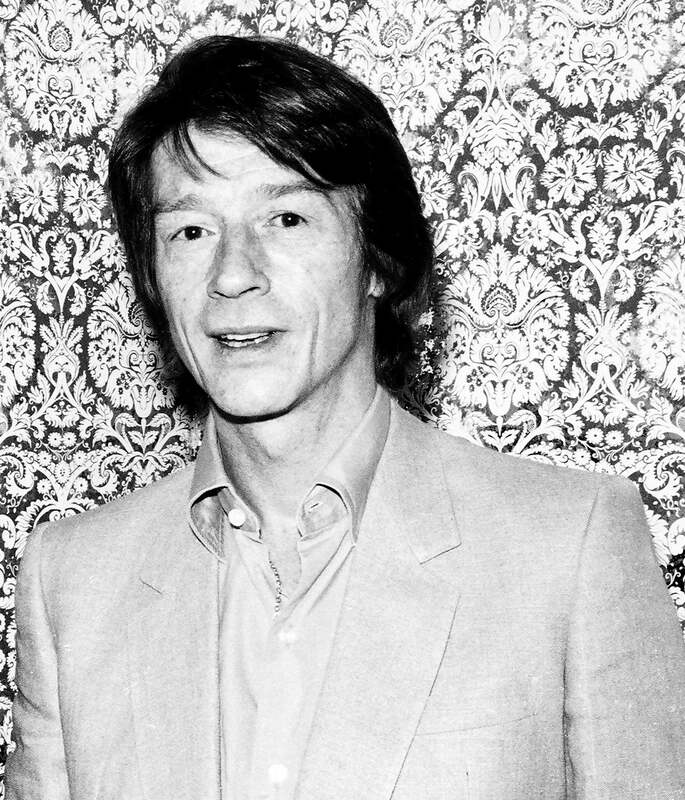 John Hurt in March 1981. A Golden Globe winner (Best Supporting Actor, Midnight Express - 1979) and nominee (Best Actor, The Elephant Man – 1981), John Hurt had the breadth of the consummate character actor and the intensity of a classically trained British thespian. His talents were sought after by early masters like Fred Zinneman, 70s iconoclasts (Sam Peckimpah, Michael Cimino) and European and American auteurs alike. In a career which spanned cinematic generations he worked with filmmakers like David Lynch (The Elephant Man), Alan Parker and Oliver Stone (Midnight Express), Lars Von Trier (Dog Town), Jim Sheridan (The Field), Walter Hill (Wild Bill) , Jim Jarmusch (Dead Man) and Michael Radford (1984), Robert Zemeckis (Contact), Steven Spielberg (Indiana Jones and The Kingdom of the Crystal Skull) and even Roger Corman (Frankenstein Unbound) and Mel Brooks (Spaceballs). Having started in theater and British films he eventually became part of big ticket studio franchises including several Harry Potter movies (as Mr. Ollivander), Guillermo del Toro’s Hellboy series and his memorable turn as ill-fated deck hand Kane dealing with a bad case of indigestion in Ridley Scott’s classic outer-space horror thriller Alien. That role perhaps more than any brought him into the pop culture imagination as an iconic figure. He was seen most recently in the Golden Globe nominated Jackie as a world-wise priest counseling an inconsolable and embittered Jackie Kennedy. Another iconic role for a master of the craft. Like all film fans in the world we mourn his passing.